Bissell Healthy Home & Heavy Duty Upper Cyclone Vacuum Assembly Part 203-1310, 2031310. 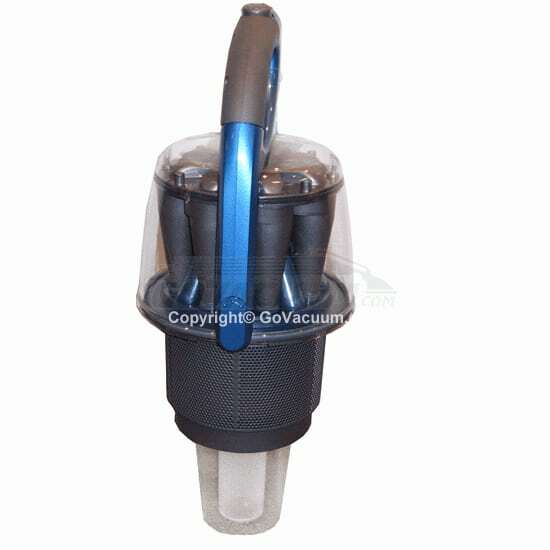 Home » Christmas Gifts for the Home » Bissell Healthy Home & Heavy Duty Upper Cyclone Vacuum Assembly Part 203-1310, 2031310. This Bissell Healthy Home & Heavy Duty Upper Cyclone Vacuum Assembly Part 203-1310, 2031310 would be an excellent accompaniment to the Bissell upright model 5770, 5770-5, 5770-8, 5770-P, 5990, 6100, 6405, and 50C9 Vacuum Cleaners. It is an upper cyclone assembly that is designed to replace your conventional dirt container on your compatible vacuum cleaner. It has the capacity to handle the accumulation of larger amounts of dirt, accommodation and provides improved dust filtering. Include this replacement part on your shopping list this holiday season and make your holiday housekeeping a breeze! Purchase this improved Bissell Healthy Home & Heavy Duty Upper Cyclone Vacuum Assembly and clear all that annoying dust and dirt from inside your home this Christmas.